On Friday, I managed to set aside an hour to finally do a video comparison of the Digitech AR-1780 and the new XHDATA D-808. I placed a table in my driveway, far away from any source of RFI, and set up the radios in identical configurations: same orientation, antennas fully-extended, same AM bandwidth (4.0 kHz), same audio levels, etc. For good measure, I also included the venerable Tecsun PL-660 in the mix. This was still daytime listening, so all of the stations were from 31 meters and up. I should add that QSB was slow and deep on Friday. Twice I had to re-shoot videos because the station simply faded into oblivion. I plan to do a few more comparisons with the XHDATA D-808 and Digitech AR-1780 soon as I’m very curious how SSB reception may differ. Please comment with your observations. Which radio did you prefer? I’ll hold my comments for now. This entry was posted in News, Shortwave Radio, Shortwave Radio Reviews, Videos and tagged AR-1780, D-808, Digitech, Digitech AR-1780, PL-660, Radio Comparison, shortwave, Tecsun, Tecsun PL-660, XHDATA, XHDATA D-808, XHDATA D-808 Digitech AR-1780 Comparison on January 21, 2018 by Thomas. Hi there, back in 1990 I was given a Panasonic RF-B40 for my birthday (I think it was my birthday…1990 was a long time ago!). 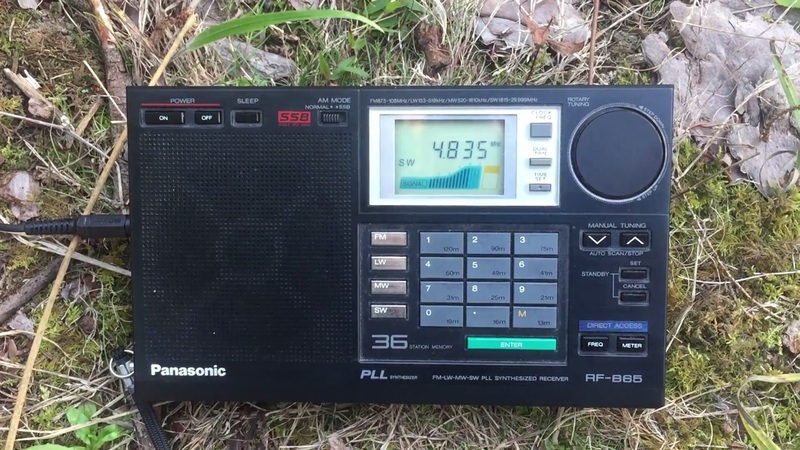 I found that radio to be very sensitive on shortwave, more so perhaps than my Sangean ATS-803A, but ultimately it didn’t really add much value to any serious DXing because it would only tune on shortwave in 5 kHz steps. This rather course tuning arrangement was very limiting in terms of tuning out adjacent noise and copying tropical band – and other signals that weren’t quite on-frequency etc. Frustrated, I lent my RF-B40 to my brother a few years ago and serves me right; following a house move, he managed to lose it! Quite a shame really because almost three decades later, I would have been very interested to put the RF-B40 through it’s paces on a DXpedition or two. You really don’t see them in action very often at all these days. 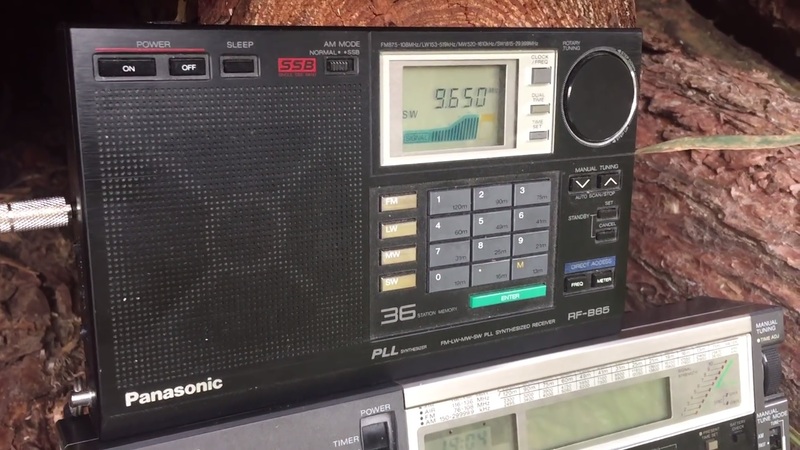 Above: the Panasonic RF-B40 (not mine – unfortunately) and the RF-B60, mid-DXpedition! At that time, which was around the beginning of the 1990s, I read a review somewhere and it became clear that the better receiver was quite obviously the RF-B65. Upon it’s introduction into the market, the RF-B65 was immediately recognised as an excellent receiver, however, in the intervening years it’s reputation has continued to grow to the point today where it enjoys legendary status amongst DXers and bit of a cult following. 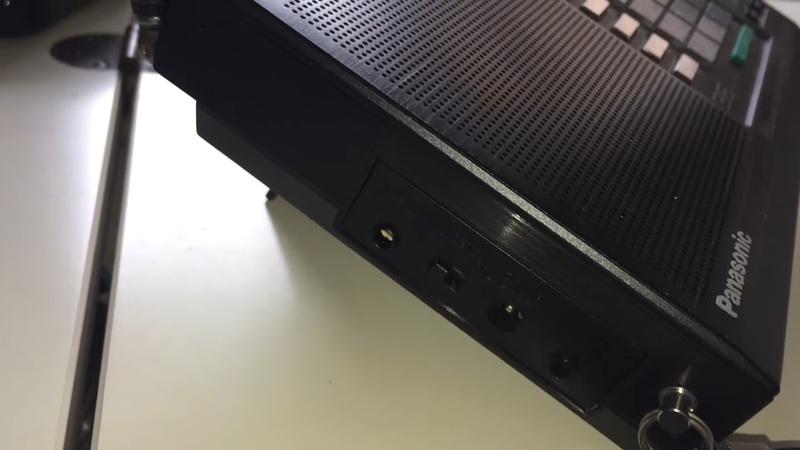 There’s a lot of information on the RF-B65 to be found on the internet, so I won’t go into huge detail, but the obvious question is: what makes thsi receiver so special? Well, it’s a quite compact PPL double conversion receiver, covering 153 kHz to 29,999 kHz AM and 87.5 to 108 MHz, FM. 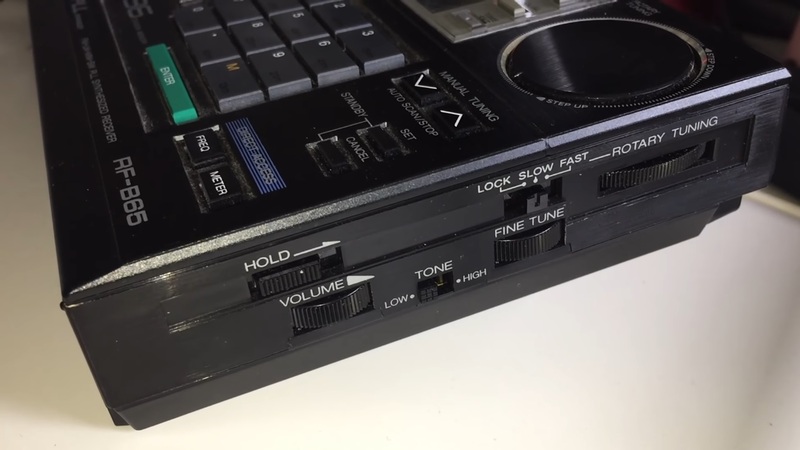 It has a keypad for direct frequency input, although you have to press either the ‘FREQ’ or ‘METER’ buttons prior to punching in the numbers to define whether you wish to access a particular frequency, or band. I actually find that slightly annoying, but you easily learn to live with such trivial matters when using a radio of this quality and performance. Furthermore, there’s an electronic signal strength meter, a DX/local attenuation switch, external antenna jack, SSB reception mode, 1 kHz tuning steps on shortwave (unlike it’s little brother the RF-B40) and fine tuning. The single bandwidth filter is 6 kHz wide and thus limits selectivity a little, although the SSB option and fine tune helps offset that somewhat. It would have been nice to have a couple more filtering options, particularly narrower for serious DXing in crowded bands, to combat adjacent channel QRM. Build quality is generally excellent as you would have expected from a high-end Panasonic portable and with a very compact form-factor – roughly the size of a paperback book and weighing in at just 1.4 Ibs, it is eminently more portable than a Sony ICF-SW77 or the iconic ICF-2001D/2010. 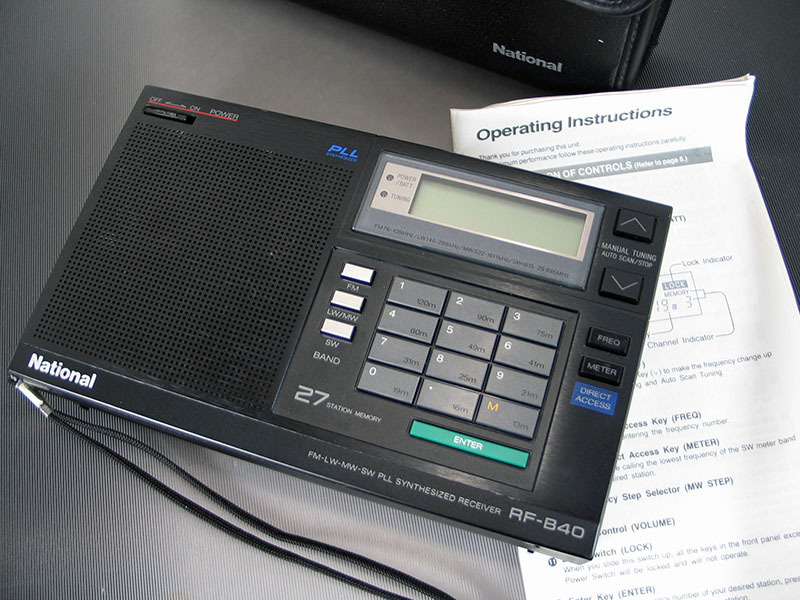 Ultimately, the RF-B65 continues to enjoy an excellent reputation today, nearly 30 years after it was introduced because it is a wonderfully sensitive receiver and arguably the best-ever performing shortwave portable in the paperback book size category – often touted as ‘travel portables’. I managed to acquire an example in as-new condition from eBay, although mind you, I paid through the nose for it lol – that cult following ensures prices remain very robust! 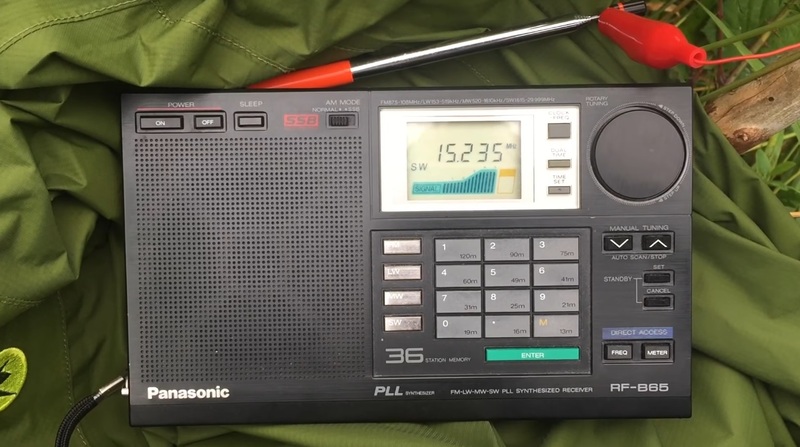 I have tested my example against the equally legendary Sony ICF-2001D, still considered by many to be the benchmark for shortwave portables, and in my experience the Panasonic is right up there with it. There’s virtually no difference whatsoever in sensitivity. Where the Panasonic comes a little unstuck is the lack of bandwidth filtering and SYNC, leading to lower selectivity. However, clever use of SSB and fine tuning does provide quite good compensation for these shortcomings. Overall though, given it’s size, sensitivity, build quality and audio, as a complete package, in my opinion, the RF-B65 is equal to the ICF-2001D, and this is why today, it remains so highly sought after. Below are embedded reception videos and text links to the Oxford Shortwave Log YouTube channel, with various DX catches on the RF-B65. Some of these are considered quite rare in Europe, for example EXPPM Radio Educación’s 1 kW signal from Mexico City, the now defunct ABC Northern Territories on 120 metres and Radio Bandeirantes from Sao Paolo, Brazil, amongst others. Please note; right at the bottom of this post is a link to some very recent comparisons with the brilliant Eton Satellit – one of the very best portables currently on the market today. The vintage Panasonic holds its own, despite 30 years of supposed technical innovation in electronics. Thanks for reading/watching/listening and I wish you all great DX. This entry was posted in Antennas, DXpeditions, Guest Posts, International Broadcasting, Longwave, Nostalgia, Portable Radio, QRM, Radio History, Reviews, Shortwave Radio, Shortwave Radio Reviews, Ultralight DX and tagged 1102S RadioJet, ABC Northern Territories, Channel Africa, DXpedition, Eritrea, Etón Satellit, Panasonic, Panasonic RF-B40, Radio Bandeirantes, Radio Comparison, Radio review, RF-B40, Voice of the Broad Masses, XEPPM Radio Educación on April 10, 2017 by Clint Gouveia. 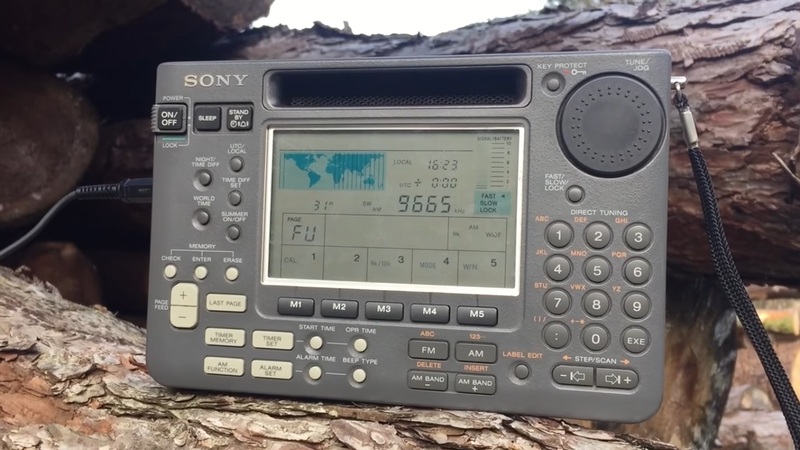 Some of you might remember the extensive tests I conducted last August, comparing this great portable receiver against the model it was introduced to replace – and arguably one of the best-ever portables – the Sony ICF-2001D/ICF-2010. 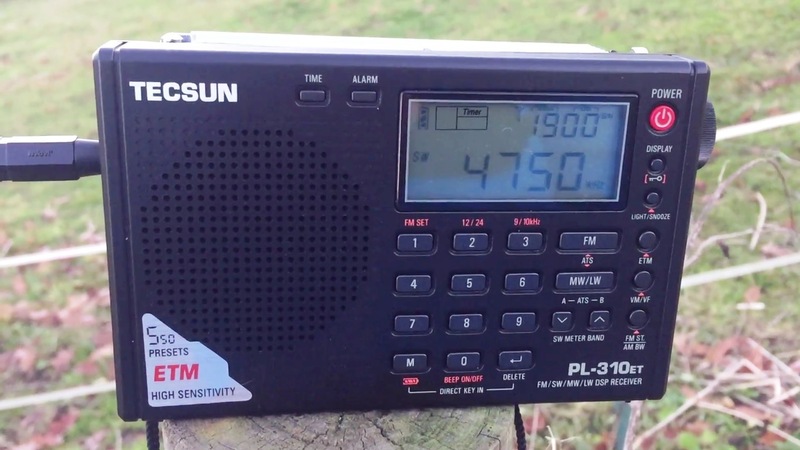 I conducted a back-to-back series of comparison tests at the very quiet wood in Oxfordshire I use for my DX’peditions, using the same antenna for both recievers – the excellent Wellbrook ALA1530 active loop. In total, I made fourteen reception videos comparing the ICF-2001D and ICF-SW77 and posted them to my Oxford Shortwave Log YouTube channel. 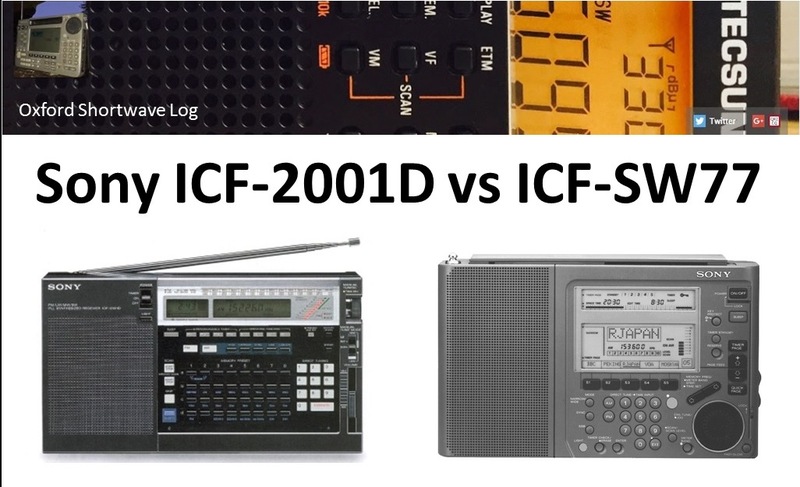 Both receivers performed very well, delivering excellent reception on the Tropical Band and elsewhere on the shortwave spectrum, however, the ICF-2001D proved to be the clear winner, with what proved to be far superior synchronous detection. Further to these recent catches, I promised some of my YouTube subscribers that I would conduct another, similar test with the ICF-SW77, but against it’s cheaper ‘sibling’ the ICF-SW55. A review at the time of the ICF-SW55’s introduction concluded that the price premium of the ICF-SW77 may not be justified since the performance of the two receivers was very similar, despite the SW55 lacking synchronous detection. 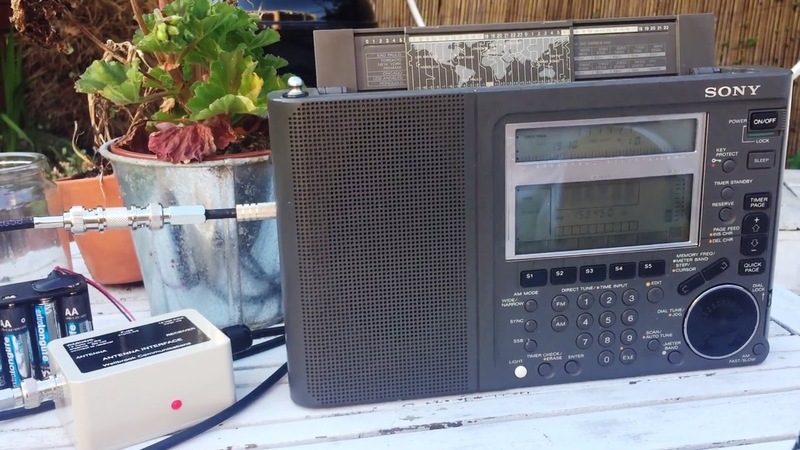 As someone who has extensive experience with the SW55 out in the field – it was my mainstay DXpedition receiver for more than a year – I was just as interested as my subscribers in how these two vintage Sonys would measure up against each other. The lineage is all very obvious from their respective industrial designs, but the lack of Synchronous detection on the SW55 might have been the one element of functionality resulting in poorer performance, particularly in challenging band conditions and in the presence of adjacent channel QRM etc. To mix things up a little, I have also thrown the brilliant Tecsun PL-310ET into this test. Such a sensitive and selective receiver for less than £40, it has provided more surprises with regard to it’s performance than just about any other radio I’ve owned. How would the Tecsun compare to these two vintage, but high-end Sony portables? Stay tuned to find out! Two reception videos follow, using signals from ABC Northern Territories (4835 kHz) and Radio Mali (9350 kHz), with more to follow on Oxford Shortwave Log and a further posting on swling.com/blog. Thanks for watching/reading/listening. This entry was posted in AM, Antennas, DXpeditions, Guest Posts, International Broadcasting, Portable Radio, Recordings, Reviews, Shortwave Radio, Shortwave Radio Reviews and tagged ABC Northern Territories, DXpedition, Radio Comparison, Radio Mali, Radio review, Radio Verdad, Sony, Sony ICF-2001D, Sony ICF-2010, Sony ICF-SW55, Sony ICF-SW77, Tecsun, Tecsun PL-310ET, Zambia NBD Radio 1 on January 4, 2017 by Clint Gouveia. Hi there, after conducting a total of 14 reception tests comparing these two vintage – but excellent portable shortwave radios, there was a clear winner – the ICF-2001D. Interestingly, the second half of the testing identified yet another example of synchronous detection lock dropping out on the ICF-SW77 (during reception of Radio CANDIP, Democratic Republic of the Congo on 5066.4 kHz). Generally, however, and despite a fairly narrow performance margin, the ICF-2001D managed to deliver clearer audio across 5 of the remaining 6 reception tests, giving a final score of 9 to 3 in it’s favour. However, despite the clear win, there is no doubt in my mind at all that the ICF-SW77 is still a great portable receiver and in my humble opinion, remains one of the best ever made. I believe this comparison test reveals the only likely remaining contender to the top-spot in portable shortwave receivers to be the Eton E1/E1XM. Originally to be marketed as the ‘Satellit 900’ (that never happened) and following a decade of development, involving RL Drake, it was finally introduced in 1995 – and then out of production within a few years. Fortunately, a couple of months ago, I managed to snag one in excellent condition on eBay, for a reasonable price. Now, these radios are not without issues, including, but not limited to; sticky rubber exterior casing, malfunctioning display, failing function keys and general all-round fragility. Not exactly what I would be looking for in a rugged, well-performing portable for my DXpeditions. However, as someone who is always exploring ways to ‘push the performance envelope’ and the obvious potential benefits of passband tuning, an allegedly superior synchronous detection circuit, 4 audio bandwidth filters and tuning resolution down to 10 Hz, the E1 was impossible for me to ignore. Thus, at some point in the near future, I will perform a similar comparison test with the Sony ICF-2001D and the Eton E1. Whichever camp you might be in, I hope you’ll enjoy the reception videos and find the results/conclusions informative. For now, wishing you all excellent DX. 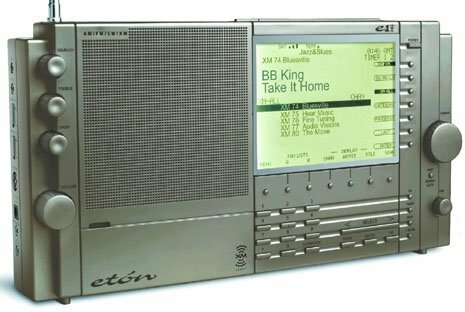 The Eton E1; possibly the best portable shortwave receiver of all time? This entry was posted in DXpeditions, Guest Posts, International Broadcasting, Nostalgia, Portable Radio, Recordings, Shortwave Radio, Shortwave Radio Reviews, Videos and tagged DXpedition, Etón, Eton E1, Eton E1XM, Radio Comparison, Radio tests, Sony, Sony ICF-2001D, Sony ICF-2010, Sony ICF-SW77 on November 17, 2016 by Clint Gouveia.